This cot-sized guest bed measures 31 inches by 74 inches and offers plenty of support. A spring-supported fabric deck helps isolate movement while providing a supportive yet stable foundation. The bed's steel frame folds for easy storage, and locking wheels improve convenience and stability. 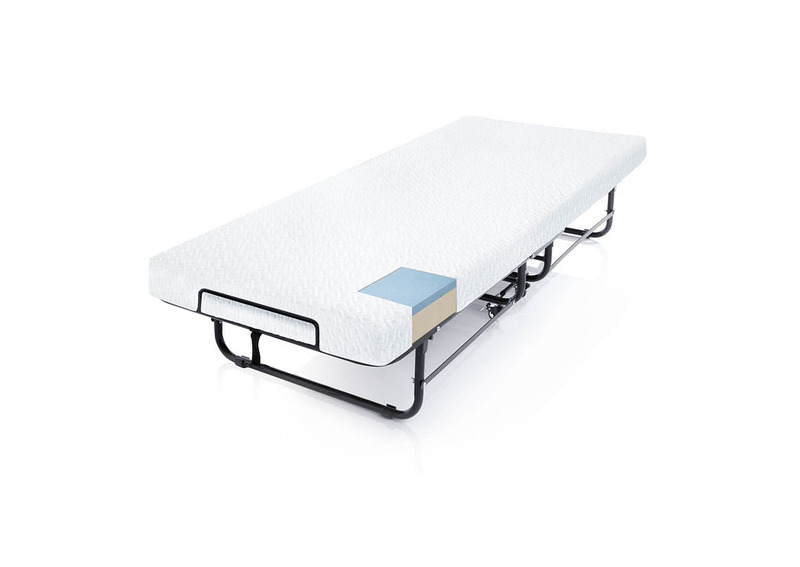 A cot-sized rollaway bed requires specialty cot-sized sheets, which are hard to find in your local department store. Pair your STRUCTURES Rollaway Bed purchase with proper-fitting sheets before you checkout. We recommend these cozy sheets with a cozy fit: http://amzn.to/1OX7z4F.